Your security gate at home may be doing a fantastic job of protecting you and your family, but what are you doing to keep it in good health? 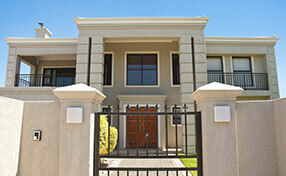 Regular maintenance on your gates is an essential task for any household. This is because it keeps it safe to use, operational, and allows you to spot and deal with potential problems before they stop your gate in its tracks. So, if you were wondering how to do maintenance on your gate properly, here is a guide on what you should be watching out for. Nothing in this world is made to last forever, and even your sturdy driveway gates are no exception to this rule. Fortunately, there are ways to ensure that it enjoys a longer and more productive lifespan, and that can only be done with correct maintenance. A failure to do so, will likely lead to a need for expensive and inconvenient driveway gate repairs. Moving parts and the long-term ravages of harsh weather conditions are but two of the forces which weaken your gate over time. Keeping these forces from consuming your gate requires routine maintenance to be conducted at regular intervals. How often should your gate be maintained? 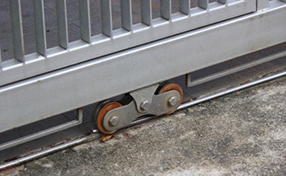 The consistency at which you maintain your security gate depends largely on the pressure under which it operates. A good rule to follow is that your gate should be properly inspected and maintained by a professional at least once a year. Those that work under extreme conditions may need a little more. The temptation is always there to save money by going the DIY route when conducting gate maintenance, but there are dangers to this approach. Firstly, without an intimate understanding of the workings of gates and openers, you are more likely to do further harm than good. Secondly, when doing your own maintenance without any of the required expertise, the danger of hurting yourself (or causing accidents later) are worse. 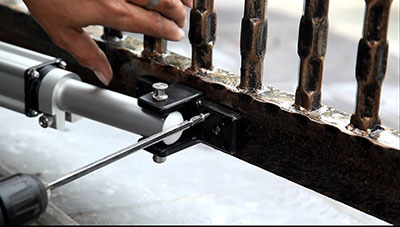 So, if you want to avoid hurting yourself or creating a need for expensive security gate repairs, it is best to leave maintenance to the professionals.